Or Zelda IX. Or is it VIII? Seven-and-a-half? That’s why no-one calls it that. Anyway, this is definitely the eighth of our 18 planned podcasts on Nintendo’s fantasy franchise. 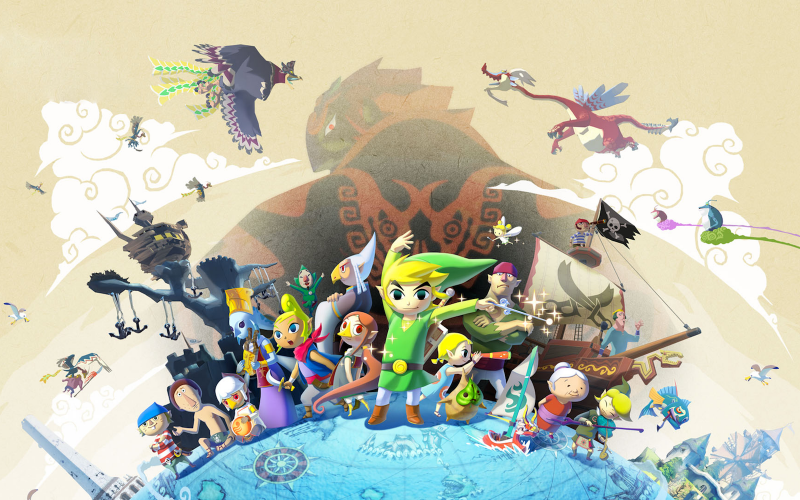 Leon, Josh, Ryan and Leah Haydu consider and confer all aspects of the 2002/03 The Legend of Zelda: The Wind Waker GameCube game, its ‘controversial’ unveiling, divisive art style and its (perhaps surprisingly different) 2013 HD update. Messages in bottles from the far-flung corners of the sprawling archipelago that makes up the Cane and Rinse community are also opened and orated. Cane and Rinse 231 was edited by Sean O’Brien (@Xer0Signal).